The Walt Disney Company’s organizational structure facilitates the achievement and maintenance of synergy through the related operations of various business segments. In theory, a corporate structure or organizational structure is the design of the business system, involving its composition, arrangement of components, and pattern of interactions for management. This business analysis case determines that Disney’s corporate structure is designed to promote interdivisional cooperation for competitive advantages. 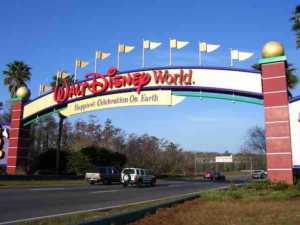 For example, the company’s entertainment segment influences the amusement park segment’s strategy. Such synergy helps fulfill Disney’s corporate vision and mission statements, which aim for industry leadership. The conglomerate’s organizational structural characteristics support strategic cooperation, which helps ensure competitiveness in the global market. Facing aggressive competition with Comcast Corporation (owner of Universal Pictures), Viacom Inc., Time Warner Inc., Sony Corporation, CBS Corporation, and other large and aggressive firms, Disney must maintain a corporate structure that empowers the business to effectively use its competitive advantages. The Walt Disney Company uses an organizational structure that capitalizes on the competencies of various business divisions or segments. This approach influences managers in coordinating simultaneous growth among divisions and subsidiaries like Marvel Studios. For example, simultaneous releases of products are among the managerial approaches observable in this case. This approach is facilitated through Disney’s corporate structure. The corporation’s structural characteristics help exploit international market opportunities and address industry trends, such as the ones enumerated in the PESTEL/PESTLE analysis of The Walt Disney Company. Thus, the corporate structure supports strategic growth. Functional Groups. Disney’s functional groups are an organizational structural characteristic responsible for the corporate centralization of strategic management control throughout the multinational business. In this way, the company’s organizational structure ensures effective coordination of strategic growth among the business-type divisions or segments. Through centralized control, Disney’s corporate headquarters prioritize strategies that benefit multiple divisions. For example, characters from new movies (Studio Entertainment segment) are used in the company’s Disneyland amusement parks (Parks and Resorts segment) and merchandise (Consumer Products & Interactive Media segment). Such cooperation is possible through the functional groups in this corporate structure. Competitive rivalry and related forces enumerated in the Porter’s Five Forces analysis of The Walt Disney Company are addressed through the functional groups and the synergy they create from interdivisional cooperation. Advantages. The characteristics of Disney’s cooperative multidivisional organizational structure create the advantage of support for synergistic diversification. Diversification is one of the company’s strategies for growing its global business. The corporate structure also has the advantage of centralized managerial control, which is necessary for cooperation among the company’s business segments or divisions. Moreover, the structural attribute of geographical divisions has the advantage of market-based strategic suitability. The Walt Disney Company’s operations management effectiveness can further enhance the benefits of these organizational structural advantages. For example, effective supply chain management optimizes support for the company’s operations in the consumer products and amusement park industries. Disadvantages & Recommendations. A disadvantage of Disney’s corporate structure is the constraint is imposes on diversification and related management strategies. Centralization through functional groups limits the overall degree of business diversification. This disadvantage is a typical consequence of the cooperative M-form organizational structure. Disney’s structural characteristics also point to the disadvantage of branding-associated limits in product development. For example, family-oriented branding limits diversification that involves adults-only products. Therefore, a recommendation is to develop a long-term solution to adjust Disney’s corporate structure to accommodate more products that deviate from such family orientation. In addition, it is recommended that the company adjust its centralization constraints to allow further diversification in the global market. Ashkenas, R., Ulrich, D., Jick, T., & Kerr, S. (2015). The boundaryless organization: Breaking the chains of organizational structure. John Wiley & Sons. Dischner, S. (2015). Organizational structure, organizational form, and counterproductive work behavior: A competitive test of the bureaucratic and post-bureaucratic views. Scandinavian Journal of Management, 31(4), 501-514. Gaba, V., & Joseph, J. (2013). Corporate structure and performance feedback: Aspirations and adaptation in M-form firms. Organization Science, 24(4), 1102-1119. Menguc, B., & Auh, S. (2010). Development and return on execution of product innovation capabilities: The role of organizational structure. Industrial Marketing Management, 39(5), 820-831. Polat, R., & Nisar, T. M. (2013). Financial crisis and changes in firm governance, corporate structure, and boundaries. Managerial and Decision Economics, 34(6), 363-378. Sakhartov, A. V. (2016, January). Selecting Corporate Structure for Diversified Firms. In Academy of Management Proceedings (Vol. 2016, No. 1, p. 11521). Academy of Management. The Walt Disney Company – About. The Walt Disney Company – Form 10-K.
U.S. Department of Commerce – International Trade Administration – Media and Entertainment Spotlight – The Media and Entertainment Industry in the United States.